Whether it’s for bridal or fashion, color has become one of the most important trends in jewelry. It’s no wonder. Not only do colored gemstones offer a magnificent rainbow of options ranging from cool to fiery, bold to pale, each gemstones has a history, mystery and story all its own. Color is personal. Color allows an individual to express themselves and their style. Color is fun. At Shaftel Diamond Co. colored gemstones are our passion and joy. We delight in their unique and wondrous individuality and personality, and we enjoy nothing more than sharing our love of color and our knowledge with our customers. 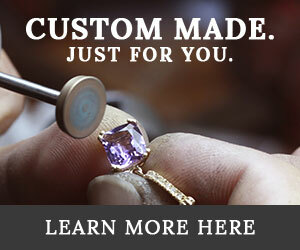 Join us as we explore the world of color and discover just how amazing gemstones can be.